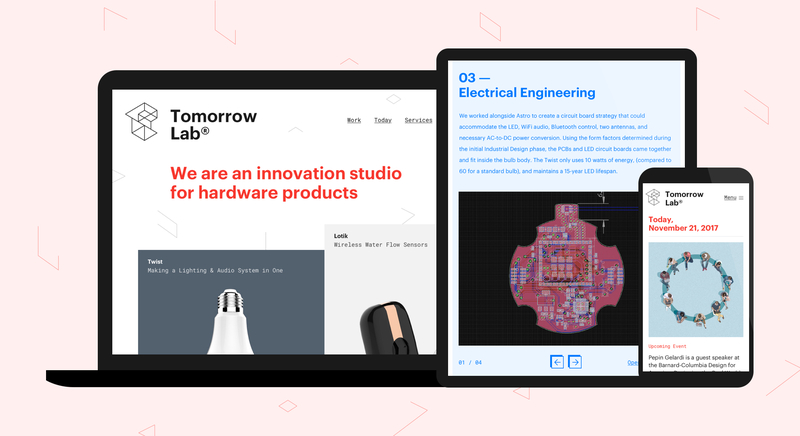 This past winter we partnered with our friends at Tomorrow Lab to help refresh their website. Tomorrow Lab is hardware innovation studio that helps invent and launch new products. They’re particularly skilled when it comes to prototyping new hardware technology, and turning them into market-ready, manufacturable products. The website redesign focused on highlighting their stellar portfolio of products with in-depth insights into their unique and hands-on process.